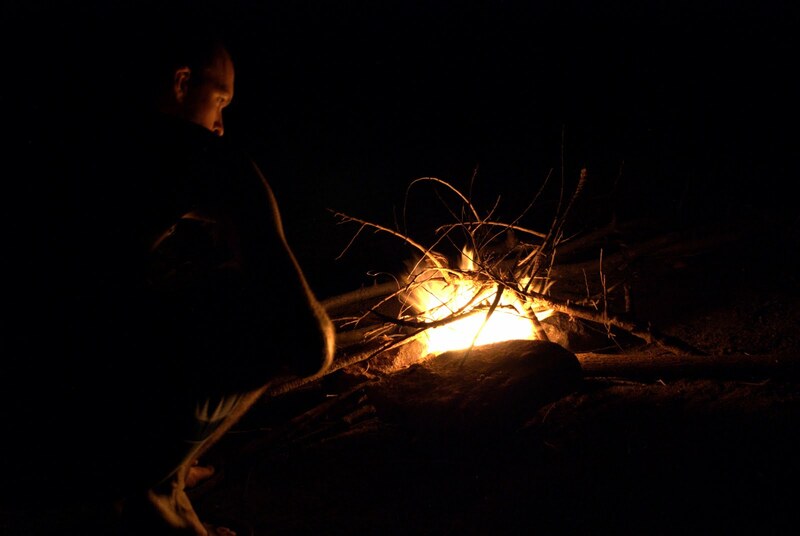 Here's picture I took of my MCC coworker Jon sitting by the fire in the Mozambican bush where we do our work. Since Jon had his motorcycle stolen, we went down to Beira last week to go get the Toyota Hilux that MCC owns here. To justify using the truck, we figured we'd better spend a few days working in the field. I'll be out in the field this week as well, because we're busy as bees this month. I'll probably blog on Friday, if I have anything interesting to say. This photo was taken just as a thunder storm rolled in through the desert. I spent hours trying to take a decent picture of lightning, which turns out to be harder than I thought. In the future if someone shows you a picture they took of lightning, you should compliment them on their mastery of photography. In other news, today is the birthday of Dorothy Day. She believed in (and fought for) many causes, including women's suffrage, caring for homeless, and pacifism and was jailed many times because of her beliefs. She once said, "Don't call me a saint. I don't want to be dismissed so easily." Speaking of birthdays, my brother's fiancée had her birthday last week. Happy birthday Emmi!